Always, despite all, God has does so much for us. It’s time to take after your Father. Don’t just talk, perform your words; it’s God’s principle for achievements. Don’t always come back to say why what you had said earlier will no longer work. It might mean you have to think deep before talking. So be it. Sometimes you have to do it simply because you have said before that you would do it. “But all this was done, that the scriptures of the prophets might be fulfilled.” Matthew 26:56. 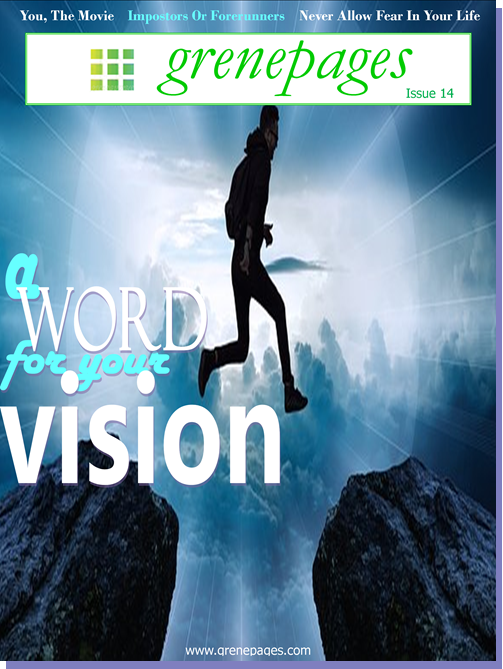 This is the 14th issue of grenepages. This entry was posted in grenepages and tagged editorial, issue 14. Bookmark the permalink.